These lights are best suited for retrofit or newly entered construction applications in residential, commercial, and industrial facilities. 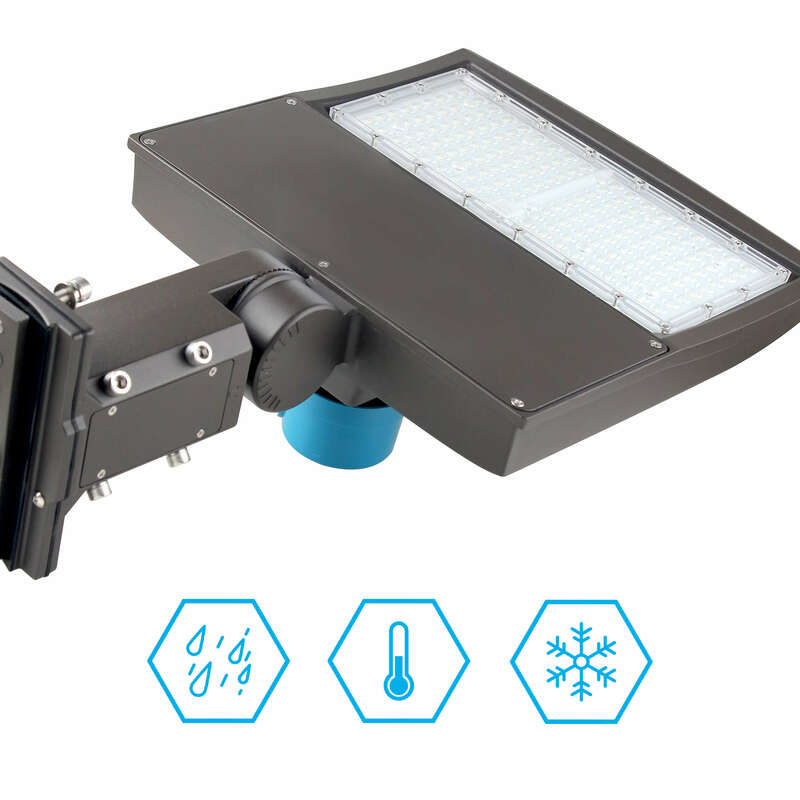 Our in-house manufactured LED Pole Lights are UL/DLC listed, suitable for wet locations, and are IP65 rated. LEDMyplace shoe-box lights consumes 80% lesser energy than metal halide or high-pressure sodium lights and put out a much nicer light, available in a variety of color temperatures. Our LED shoe box lights feature an attractive modern/minimalist design and utilize high-power LEDs, for the ultimate in energy efficient and aesthetically pleasing light. Be it the parking lot or a street, our outdoor LED pole light can be installed anywhere, any pole be it round, square or even on a wall, irrespective of weather conditions. 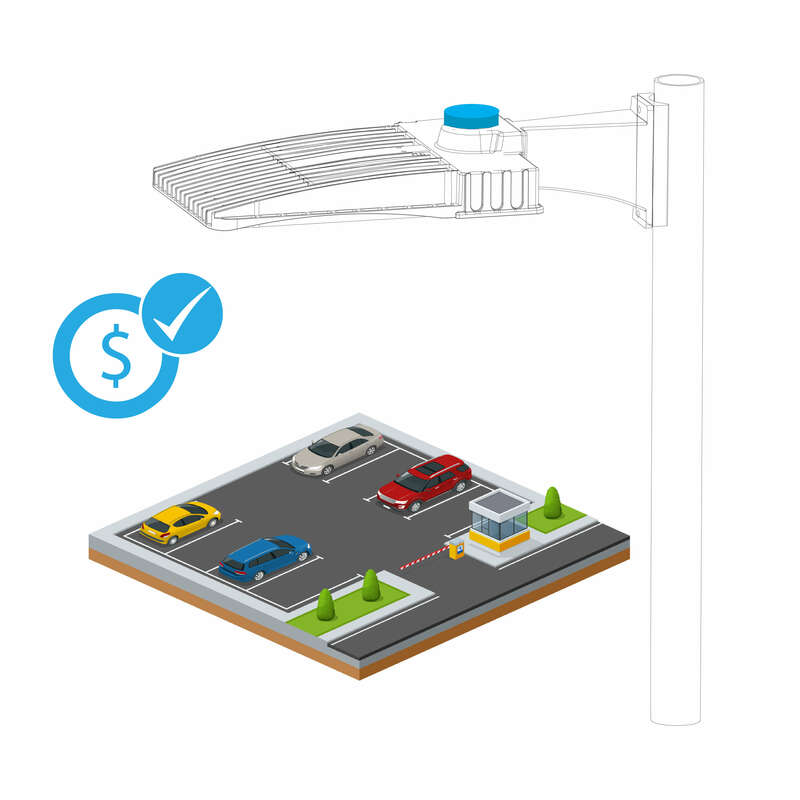 LEDMyplace offers LED pole light with universal mounting options and a high beam angle to meet all kinds of commercial applications. LEDMyplace offers one of the best mounting options that lowers your installation costs by enabling a hassle-free, easy self-installation. This is suitable for both kinds of poles - round, square and also for wall mounting with flexibility to adjust the head. 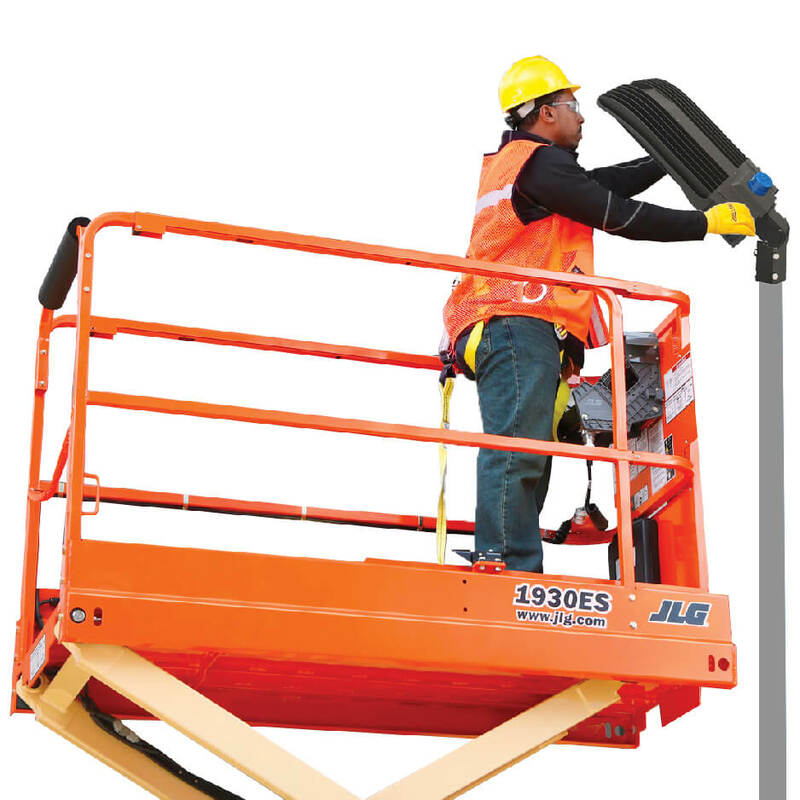 Apart from easy self-installation, the universal mounting option also reduces your time by not requiring any re-drilling or cutting any pole tops when allowing for a change in the mounting process. With just two holes inside the poles and with just two bolts, you can easily undertake Universal Mounting. 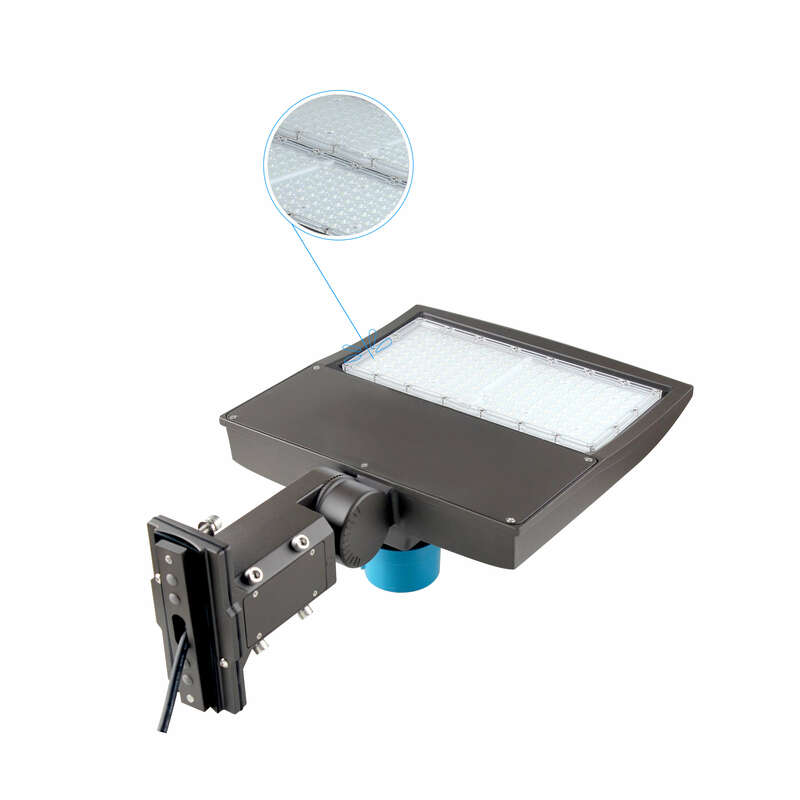 Our 300W LED pole light luminaire thus enables mounting in two ways -- vertical and horizontal. 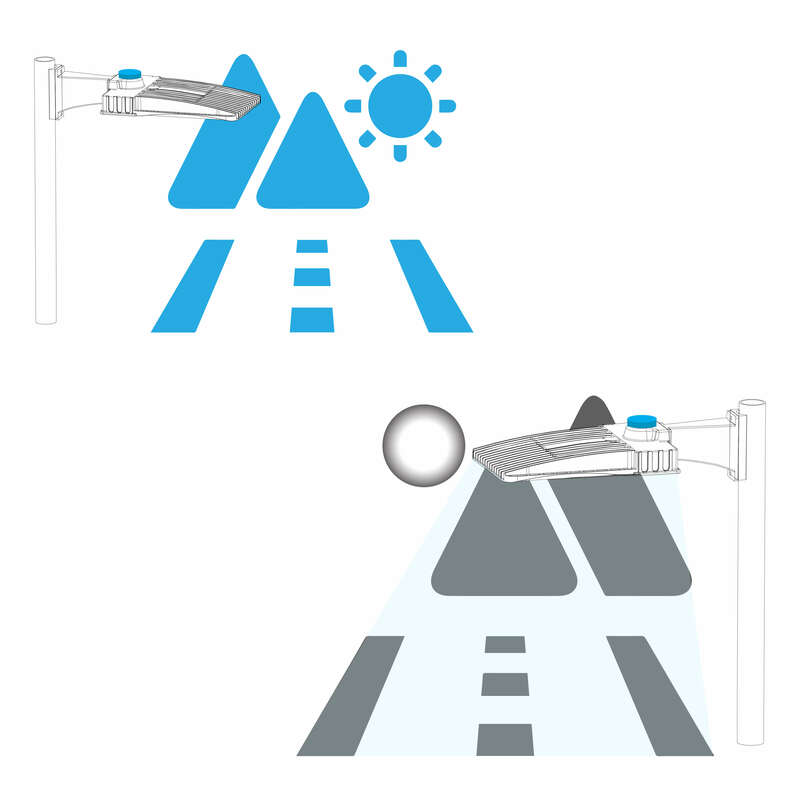 And, what you get out of these options is -- an enhanced optical control and to a certain degree the luminaire efficiency. 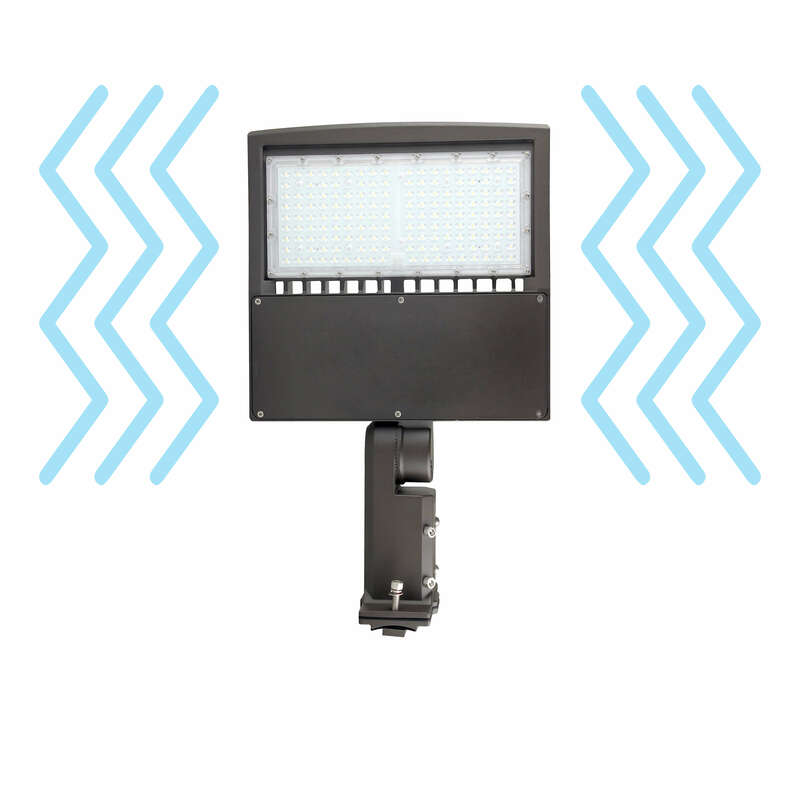 The outdoor LED pole lights come with an IP rating of 65 which means they are protected from complete ingress of dust and low pressure water jets coming from any direction. Our Type III LED Pole Lights ensure optimum coverage of your outdoor area. Special Polycarbonate Optics provide overlapping pattern on application space eliminating dark spots. 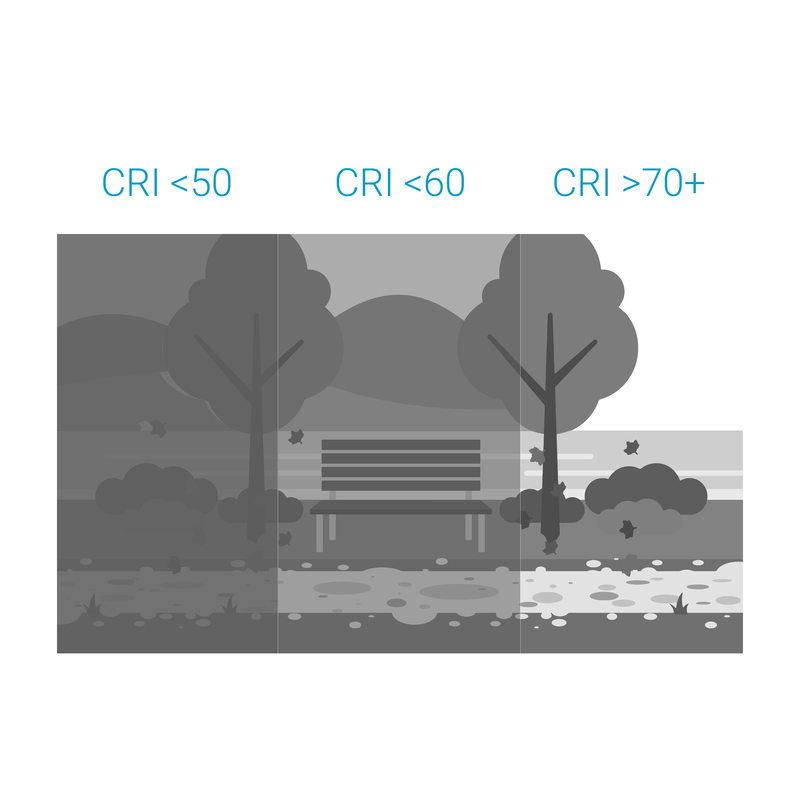 The use of ultra wide angled polycarbonate optics provides high application efficacy, uniformity, and glare control, with more uniformed light distribution, especially over wide areas and spaces. Robust mechanical design with IP65 shatterproof optics, Our LED pole light is made from finest materials to provide for adequate durability and luminaire protection. Our design is engineered to provide hassle-free one-man installation and low maintenance and installation costs for your projects. 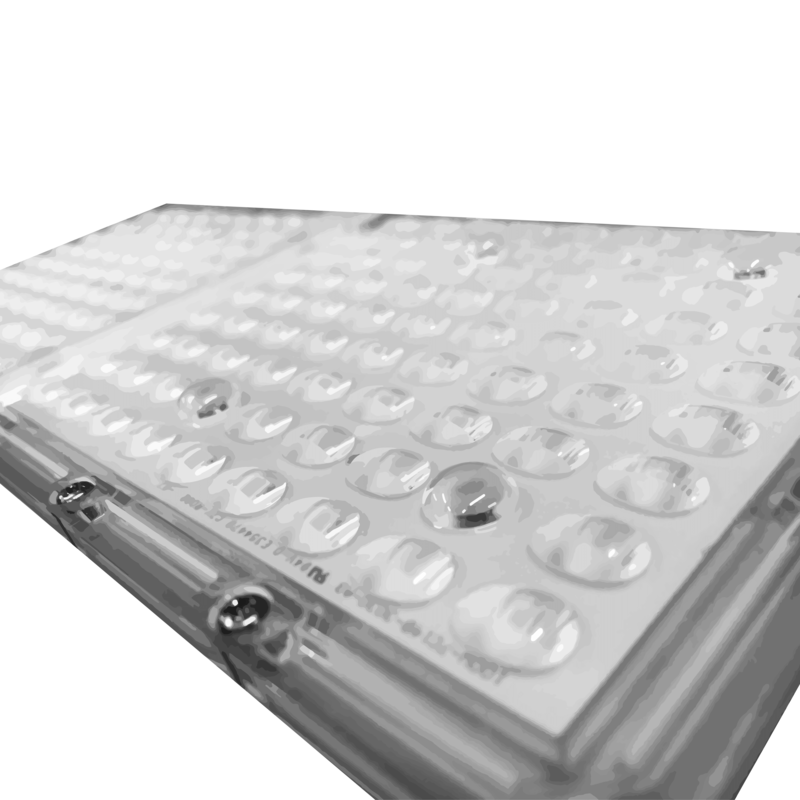 The PCB mounted LED technology comprised of multi-cluster LED's on single metal core board and is available in various color temperature options of 3000K, 4000K and 5700K with CRI of 70 minimum. 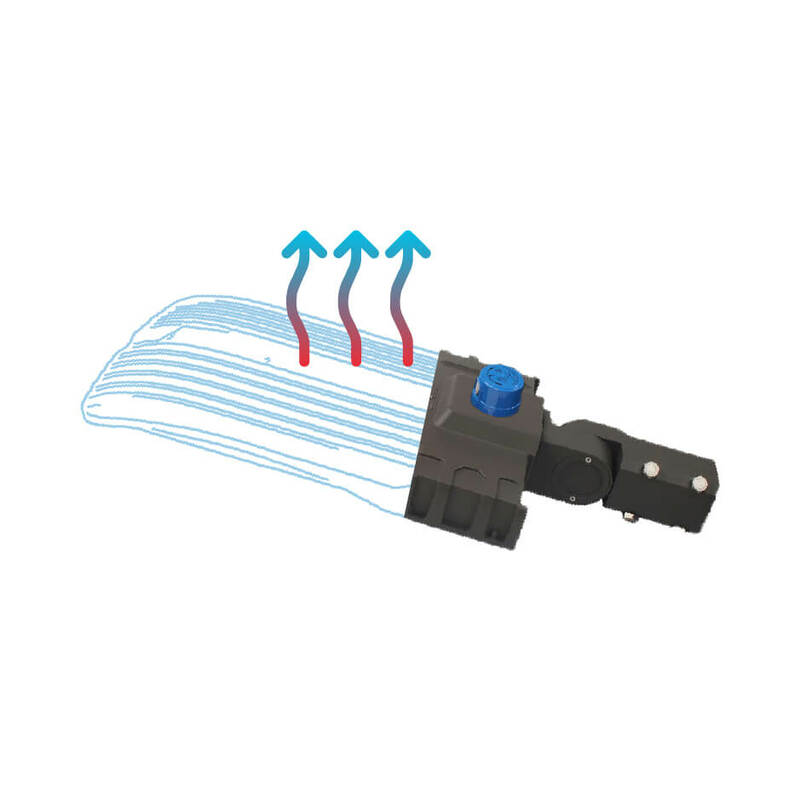 Polycarbonate prismatic optics ensure longevity and maximise dirt and bug resistance. 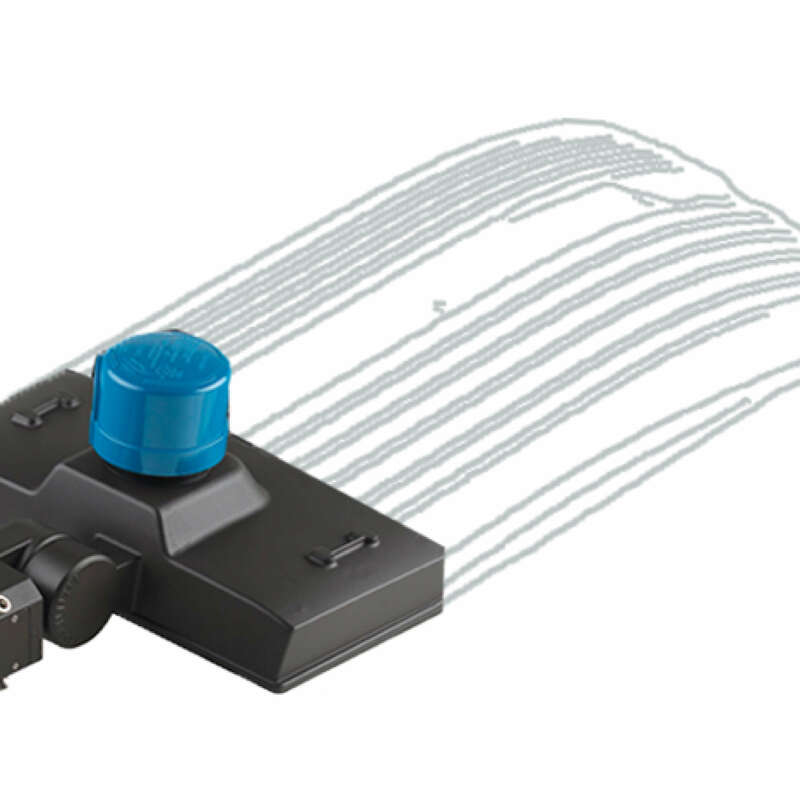 Zero uptight optics reduce sky glow and meets Dark Sky requirements. Our special polycarbonate optics provide overlapping pattern on application space eliminating dark spots. The use of ultra wide angled polycarbonate optics provides high application efficacy, uniformity, and glare control, with more uniformed light distribution, especially over wide areas and spaces. Our best in class LED Chips are made of high quality materials, durable for daily use. Very low heat generating, saving energy, environmentally friendly. Long service life. 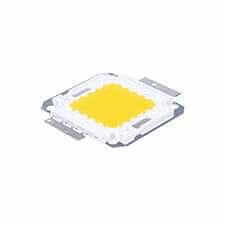 These chips provide superior quality and reliability to the LEDMyplace fixtures. Our wide collection of dimmable lighting makes it easy to adjust the light intensity in outdoors. Even at low light levels, LEDMyplace light is stable and clear. 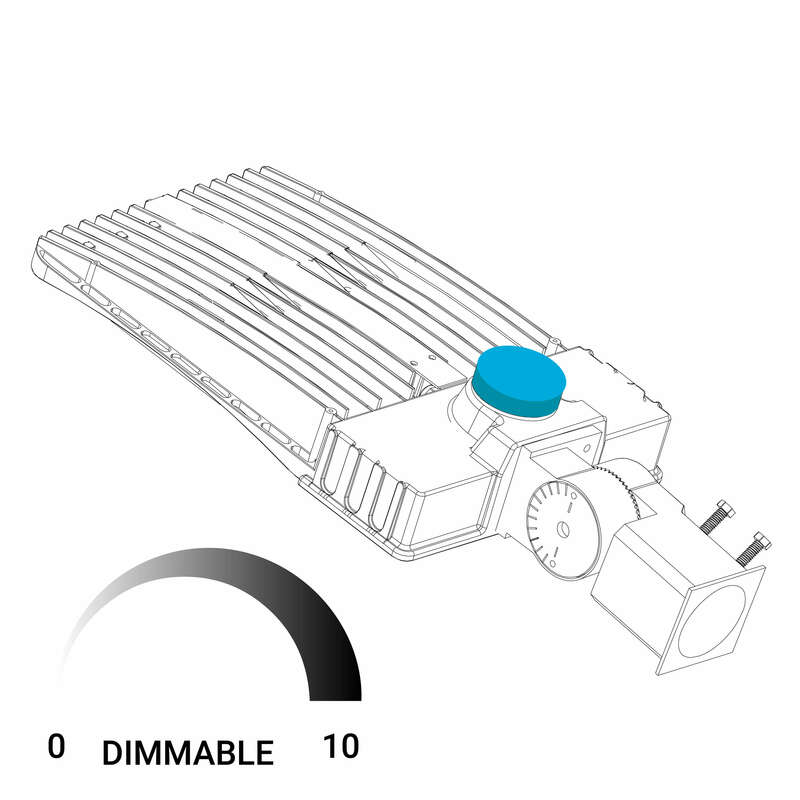 These dimmable fixtures are the much advised replacement for incandescent and halogen fixtures in terms of lighting output, quality, and compatibility. 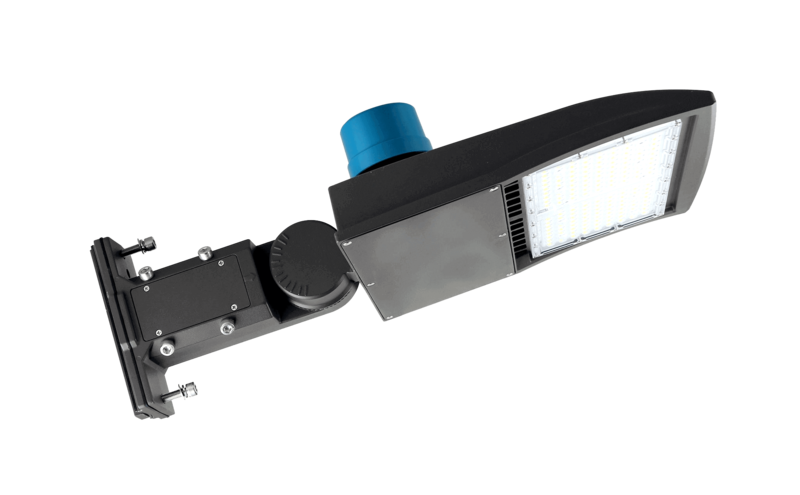 The LED Pole Light's High Output renders true-to-life colors with a Color Rendering Index (CRI) of 70-90 and optical distributions that are optimized for automotive frontlines, large parking lots and high mast applications. 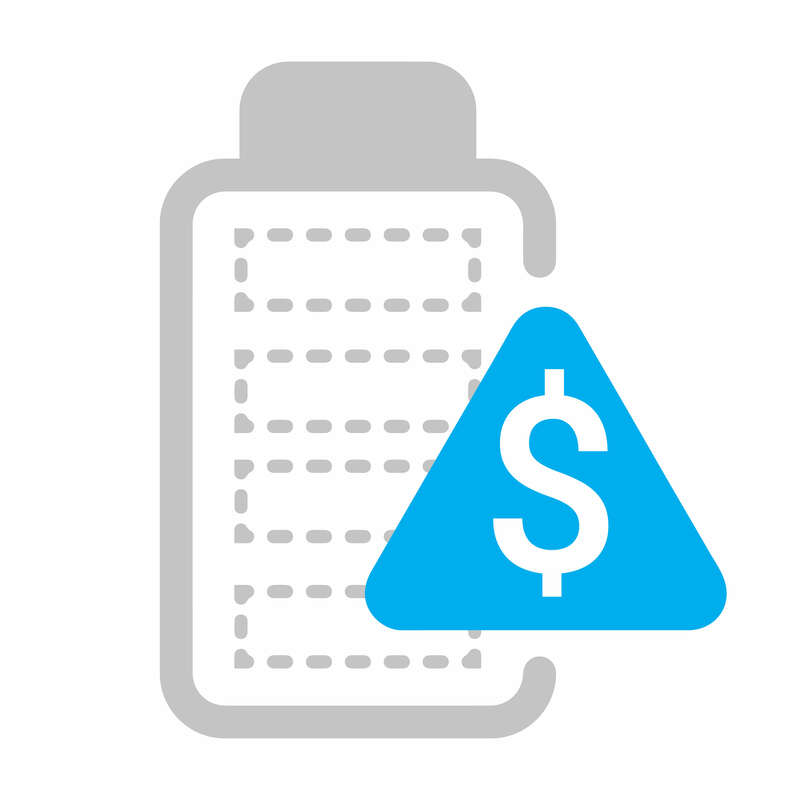 Our luminaries are extensively tested for resistance to vibration. All our LED Pole Lights have cleared pre-qualified tests for vibration. The vibration testing ensures that our LED fixtures do not have any loose parts, structural damage, power off and other anomalies. 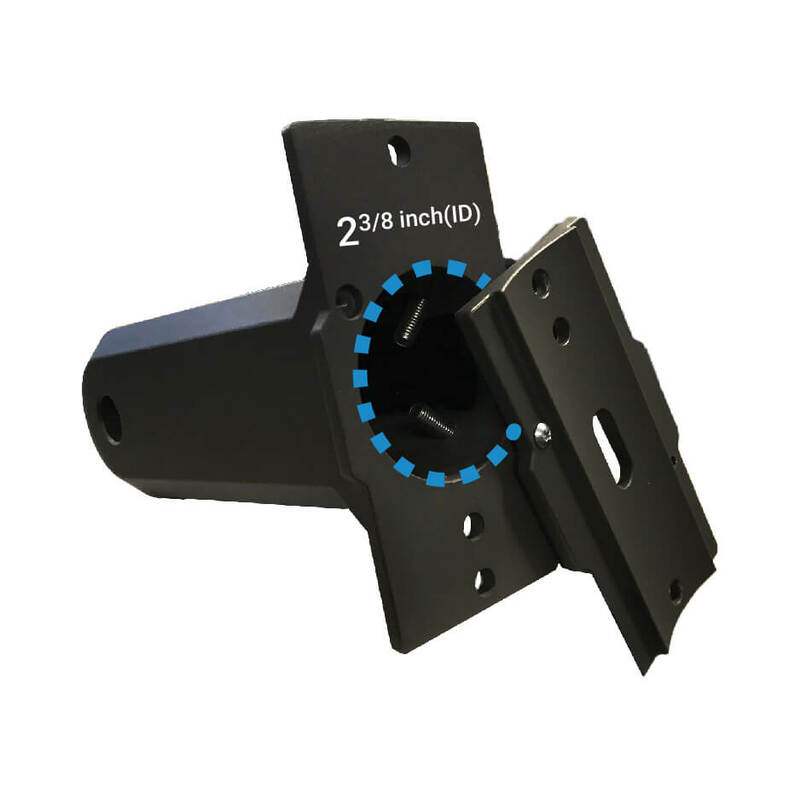 Two bolt horizontal arm mount with 180 degrees vertical adjustment provides 3G vibration rating equivalent to ANSI C136.